Being right on the coast that follows the Great Barrier Reef, it's no surprise that there are a number of fantastic tours to the World Heritage listed natural attraction that depart from Port Douglas, including day trips and reef cruises. The Reef Marina is not only the departure point for these cruises but is also an attraction in itself, home to a beautiful boardwalk and a range of shopping and dining options offering stunning views of Dickson's Inlet and the Mossman Ranges. The Rainforest Habitat Wildlife Sanctuary allows you to experience the 'rainforest' aspect of Port Douglas offers the opportunity of exploring 4 different environments including rainforest, grasslands, woodlands and wetlands. Home to more than 180 species of insects and animals, the sanctuary is a popular family-friendly attraction. 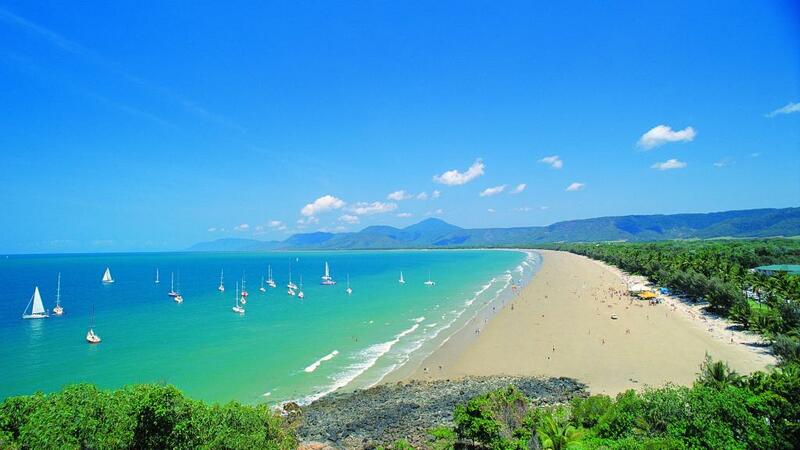 When it comes to beautiful views, you simply can't go past Flagstaff Hill, a vantage point that offers the region's most breathtaking views of Four Mile Beach from a breezy, gentle incline. History buffs will delight at Saint Mary's by the Sea, an historic church that was the only church in Port Douglas until 1986. Complete with wooden pews and church bell, Saint Mary's offers stunning views of the Coral Sea and distance mountains from behind the altar and is now a popular wedding venue. Cotters Market is a wonderfully relaxing way to spend your Sunday in Anzac Park, enjoying the works of local artists, farmers, craftsmen and tradesmen. Meanwhile local art galleries offer a more complete range of works including the Candlenut Gallery, Marina Gallery, Archiart Tropical and Mowbray Gallery. If you prefer the great outdoors, there are a number of world-class golf courses to be found in Port Douglas including the Sheraton's Mirage Country Club, the Sea Temple Golf & Country Club and the Mantra's Links Golf Course. However if you're up for a bit of adventure, kitesurfing is a fun beach activity that is at its best from June to August when southern Trade Winds create the perfect conditions.